>> The perfect electric car for the city. The new 2019 EQ smart fortwo coupe. Intelligent and great fun: that’s electric mobility with the new 2019 EQ smart fortwo coupe. With all the benefits that make a smart so unique and safe – and with that extra special driving enjoyment that only an electric car can offer. Our new electric vehicles offer all the familiar benefits from smart. Plus new, cutting-edge connected-car technologies and full access to our innovative, digital services. The standard 7.2 kW on-board charger allows you to charge up quickly with fresh energy. At a charging station or wallbox you can charge your battery up from 0-100% in 3 hours using a 240-Volt Level II charging system. Music, pictures or films – the optional smart Media-System can be operated intuitively via the 17.8 cm (7-inch) multi-touch display. Important functions such as navigation or telephony can also be operated via voice control. And you can use Bluetooth® to make telephone calls without taking your hands off the wheel. The optional smart Media-System allows you to view information relating to your electric car’s energy flow – whether the smart is consuming energy or recuperating, for example. Driving such an agile electric car is a pleasure right from the word go: driving’s never been such fun – even in the rush hour. Driving pleasure. At its smoothest. You really must experience for yourself how much fun electric mobility can be. With full torque on tap right from the very first turn of the motor and seamless acceleration, the smart EQ fortwo is more agile than ever – and virtually silent into the bargain. One gear is all you need. For any speed. This makes a smart even easier to operate as an electric car. The ECO button activates ECO mode, offering a number of energy-saving functions – all in the interest of increased range. The high-voltage battery is installed in the vehicle’s floor for special protection. The low centre of gravity boosts driving stability and agility. With the familiar smart dimensions of only 2.69 m in length and a turning circle of only 6.95 m the city belongs to you – including even the smallest parking spaces. A new electric car – with all the old virtues. Electric cars often lack colour. Not so with smart: you can always combine two colours. There are just so many possibilities – one electric smart rarely looks quite like another. Recurrent features such as the dynamic sweep or the honeycomb pattern are smart hallmarks. Generously proportioned fabric-upholstered surfaces create an atmosphere to make you feel at home – and that offers something a bit different to the staid monotony of other electric cars. The dashboard instrument with battery charge status and power indicator displays the data relevant for electric driving to the driver: the recuperated energy and energy currently used, the available power and the battery charge status. Provides information about available range and the car’s eco score: This is a display that helps you to maintain a consistent and efficient driving style. With the passion, perfect and prime equipment lines and above, the instrument cluster takes the form of an 8.9 cm (3.5-inch) TFT colour display offering a wealth of additional information on your electric vehicle. An intelligent system from higher vehicle categories: when you take your foot off the pedal, the electric car goes into recuperation mode, regaining energy in the process. With radar-based recuperation, the traffic situation is additionally monitored using a radar sensor, and the ideal recuperation level to suit the current situation is selected. Added range at the push of a button: Eco mode activates a number of energy-saving functions on your electric vehicle. Maximum recuperation, reduced cooling/heating output, a reduced top speed and a flatter accelerator curve – all in the interests of increased range. This provides a simple means of raising or lowering the temperature in your smart to a pleasant level before you set off, using the instrument cluster. And as long as your smart is connected to the mains for charging, the climate control system draws its energy from the grid instead of the battery. With enhanced insulation, a heated multifunction steering wheel and heated seats for driver and front passenger, the smart EQ provides for a pleasant interior climate. In this way you can reduce the heating output for the benefit of added range – without getting cold. Energy for the city. The smart EQ fortwo coupe comes with a powerful 7.2 kW on-board charger as standard. To recharge, simply connect your electric vehicle to a wallbox or a public charging station. You can also charge your vehicle at virtually any conventional domestic power socket. 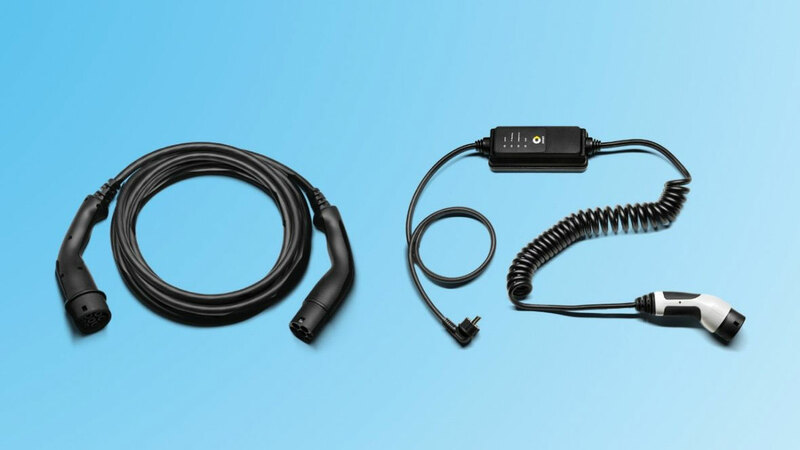 To charge the battery, simply connect the charging cable to the charging station and then to your electric vehicle’s charge socket. An LED above the charge socket indicates that the charging process has been started. You can also opt for the charging cable for domestic power sockets, which enables you to charge your electric car at virtually any standard domestic power socket. The charging time of the fast charger using a domestic power socket is longer than the standard solution, due to the lower efficiency. If you wish to charge your electric smart using a domestic power socket in an older building or near industrial installations, we recommend having your domestic power socket checked for suitability by a qualified electrician beforehand. The optional charging cable package includes both variants. 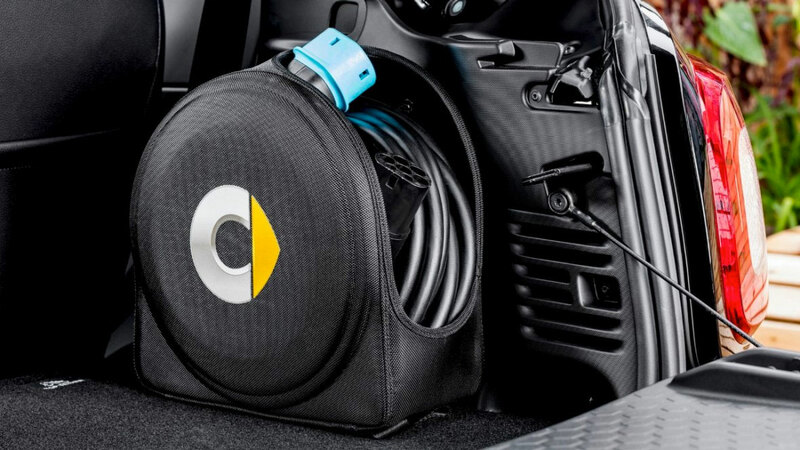 After use, the charging cable can be stowed securely and compactly away in the boot of your electric car using the charging cable bag which is provided as standard. The high-voltage battery is accommodated in the vehicle floor. Apart from the safety benefits, this also provides for added driving enjoyment as a result of a low vehicle centre of gravity. The high-voltage battery has a capacity of 17.6 kWh. 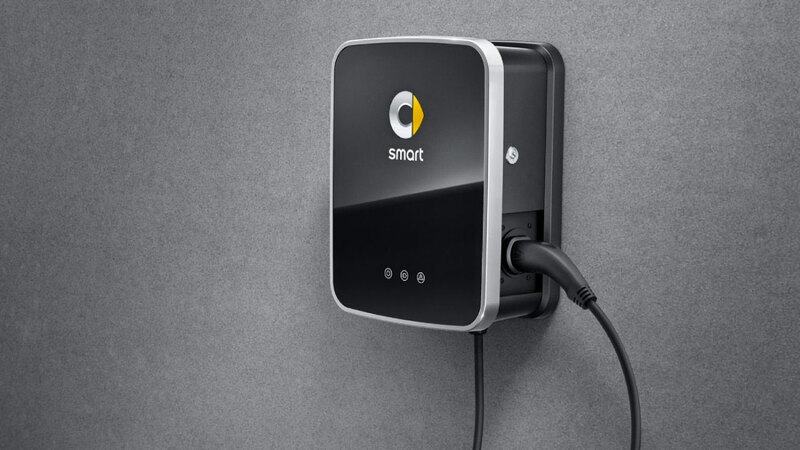 The smart battery certificate provides full warranty cover for the lithium-ion battery for 8 years or 100,000 kilometres – whichever comes first. Just like a nut is protected by its hard shell, the tridion safety cell consisting of 75% high-strength steel keeps its precious contents safe from harm. In conjunction with further components such as crash boxes and deformation elements, the tridion safety cell ensures a high level of safety in a minimum of space. In addition to airbags for driver and front passenger, the smart EQ fortwo comes with a knee airbag for the driver, two pelvis/thorax bags in the driver and front passenger seat backrests and window airbags covering the electric vehicle’s side windows on the side facing towards the impact. Electric mobility is surprisingly quiet. To avoid you surprising other road users, the optional acoustic presence indicator takes effect at speeds below 30 km/h. A discreet sound appropriate to the given driving situation ensures a better awareness of your vehicle’s presence and improves safety for all road users. The brake assist system outputs warnings when a risk of a collision is detected. 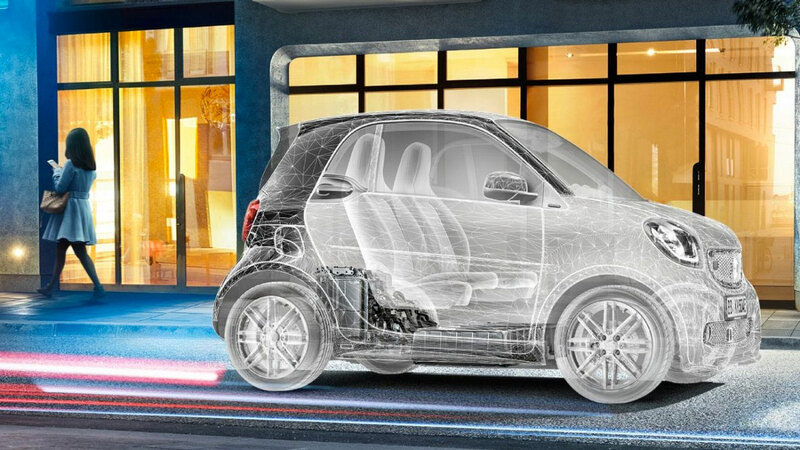 The EQ smart fortwo coupe: Intelligent electric mobility that’s big on fun. With all the benefits that make a smart so unique and safe – and with that extra special driving enjoyment that only an electric car can offer.